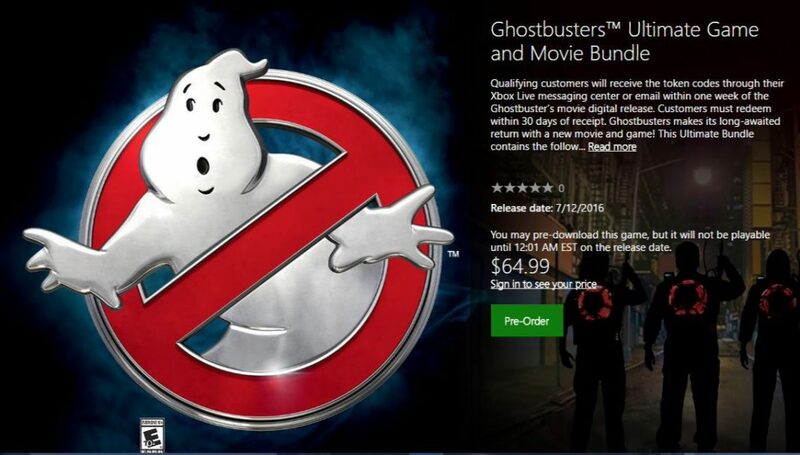 Ghostbusters Game And Movie Bundle is now available for digital pre-order on Xbox One. Grab your Proton Pack and join the Ghostbusters as you explore Manhattan, blasting ghosts, and trapping those runaway ghouls. Play alongside your friends as the Ghostbusters in the 2-4 player local co-op campaign. Battle new and classic Ghostbusters characters, including Slimer, Gertrude Eldridge, Sparky and many more. Features an original story that takes place after the events of the movie! Game DLC: 4 classic suits and trap.